THE BEER CAFÉ recently launched its ‘WE DON’T SCREW YOUR BREW’ campaign. This is an intensive educative campaign under the banner to raise awareness about the importance of high-quality water for the world’s most favorite beverage; BEER! 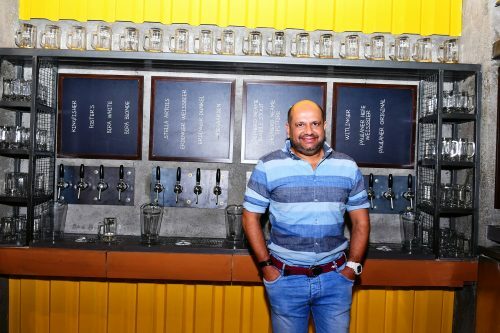 I got a chance to interact with the CEO and Founder of The Beer Café – Rahul Singh, who talked with me at length about the campaign and much more! SV: Tell us, why do you think there was a need to initiate this campaign? What was the motive behind it? RS: Largely consumers are unaware about the importance of water for a good beer. Unsurprisingly, the best of beer brands often hail from countries like Belgium, Australia, United Kingdom, Austria, Italy, Sweden, Norway, and France. The reason is these countries have the highest water quality index in the world. The most famous breweries are typically located near natural sources of fresh water. Hence the brews are delicious. Off lately, hobbies and interests have given wings to microbreweries and home-grown beer brands across the length and breadth of the country. Small production houses are set up, semi qualified, under trained people take up the responsibility of making brews. Protocols, hygiene, ingredients, recipes and maturation process are often not adhered too. The final output; sub-standard brews at a very nominal price. For the price sensitive Indian customer, gallons of beer worth pennies is the ultimate gratification. We at The Beer Café, pride ourselves at being the beer destination for our patrons, who trust and enjoy our extensive selection of premium beer brands from around the world. This unique proposition is enabled by our in-depth understanding of how wonderful beers are made. SV: How does a normal consumer like me, differentiate, whether the beer is properly brewed or not? As in, the water used was of high quality or not! For a normal customer, who just wants to gulp his beers, it’s next to impossible to figure out if the water used is pure or not. The hangover, headache, and nausea the next day is a sure shot indicator! SV: What needs to be kept in mind that the consumer is getting the best possible brewed beer. After all, he is paying for something and there is a moral responsibility not only on the brands that make the beer but also on the ones who sell it- like The Beer Café! RS: The Beer Cafe is India’s fastest, largest and most awarded alco-beverage chain serving more than 50 premium beers across 20 countries. Adding to the campaign, what makes the brand different is the beer-ritual that is adhered to. Every pint is treated with utmost care and kept in chillers 24×7 irrespective of the outlet is operational or not. The temperature for each beer is carefully monitored as well. The servers undergo a rigorous training program and receive a ‘beer champ’ certificate from industry leaders. Smallest of the details like the glassware, a perfect pour and expiry dates of the beers are taken care of. We serve over 1 million customers every year, and these aspects are never compromised upon. SV: And what kind of planning goes in terms of deciding the look and feel of the place. If I am not wrong, the idea is to make it casual yet lively, to have a relaxed ambience? RS: The Beer Cafe has light and cheery ambience, easy couches, quirky artifacts, and tastefully done interiors. It is also a delight for music buffs across the country playing from billboard hits to peppy chartbusters, from classic rock to thriving live band performances. Just like beer Beer isn’t pretentious, it is an age old unifier, that transcends culture and class to bring people together – be it friends who want to catch a game, a manager who wants to applaud the team’s win or a family looking to unwind over light-hearted banter. Every pint is a celebration. And that’s what The Beer Café is all about – discovering an unconditional #LoveForBeer and letting it take over. SV: What do you think makes The Beer Café a loved brand in the market? I strongly believe you guys do have a lot of loyal consumers – what’s the secret? RS: What beer does for your spirits, The Beer Café does for your soul. 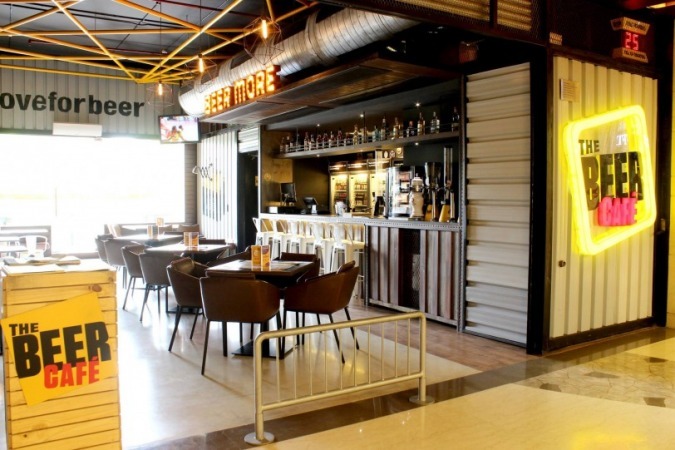 The vision to stimulate communities towards a fun and responsible drinking culture, Its legacy of innovation can be seen in the way The Beer Café has been redefining the ‘beering’ experience in the country. There’s always something to look forward to; the PYOB technology, virtual bar, loyalty app or gigs; than just the vast portfolio of the beer brand available. 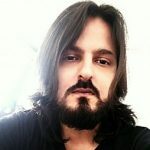 SV: What are the future plans for you and for The Beer Café? What more can we expect? 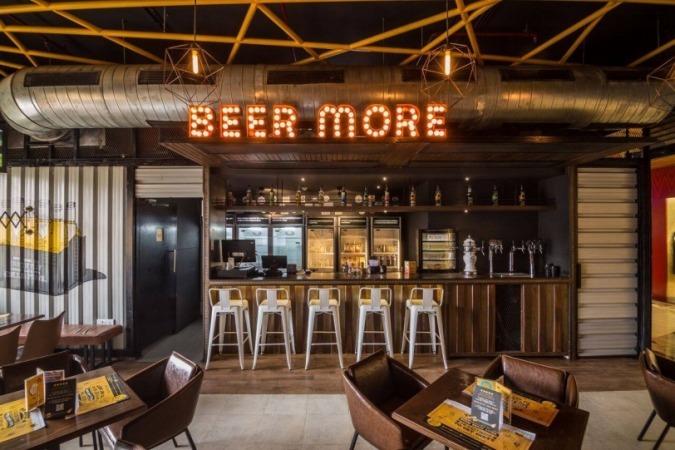 RS: Having achieved profitability, The Beer Café is now looking to enhance its pan-India footprint and further consolidate its position as the category leader in the $7.1 billion Indian beer market by rapidly expanding its operational scale. 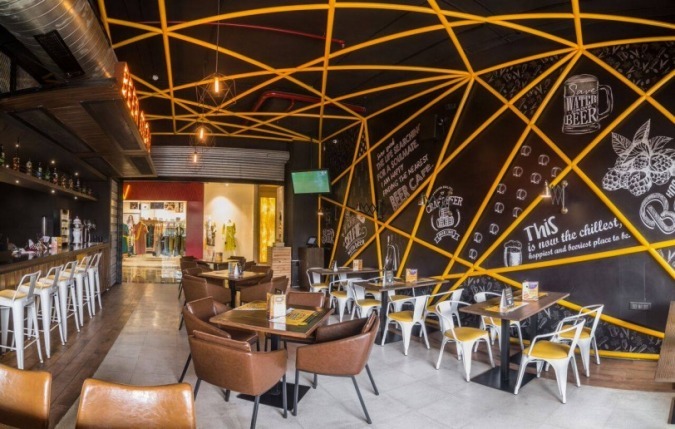 The brand is looking to add to its current array of 40 outlets across 12 cities, targeting 150 operational outlets by 2022. 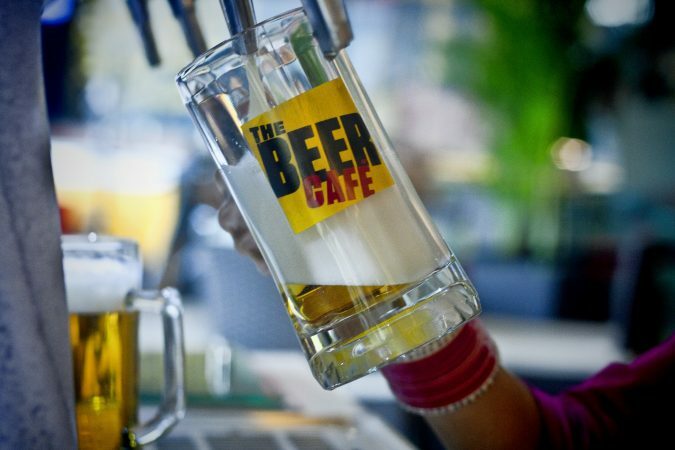 The Beer Cafe now plans to launch its services on a global level and is looking to soon introduce its own brand of beer. If all this isn’t adequate to raise the spirits of beer-lovers, what is? SV: Besides the water quality issue in our country (compared to the others), what do you think are the fundamental issues/problems that breweries face/neglect in the current market of India. RS :Craft beer is catching on but high taxes and complex regulations complicate business. Microbreweries are allowed in cities like Mumbai, Bengalur, and Gurugram, but not Delhi despite the municipal government promising the licensing. Selling offsite is all the more hassle, with each bottle to be marked with a barcode. Many consignments are wasted in seeking logistic approvals and sanctions. SV: Coming to The Beer Café, what were/are the challenges that you first faced and still face when you decide or explore to open a new joint? RS: Law of the land! My pet Peeve. Starting with our own constitution which seeks for complete prohibition across the nation and allows each state to govern their own policy for social development and control of alcohol use for non-medicinal purpose. So, there is no central control over the sale and consumption of liquor. And, each state has a free hand to adopt a policy linked to archaic acts. These acts (like the Punjab excise act 1914 or the Bombay prohibition act 1949) are toned in colonial-era paternalism, which sees the state as the ultimate arbiter of what’s fit for the citizens of that state. So, if Gujrat has total prohibition and Bihar has gone dry recently to a Karnataka which is fining bars for not selling the minimum prescribed amount of liquor bottles. More so, Beer and Wine is identified as agri products in most countries and WHO prescribes use of these low on alcohol beverages to wean people away from distilled hard spirits/liquor. 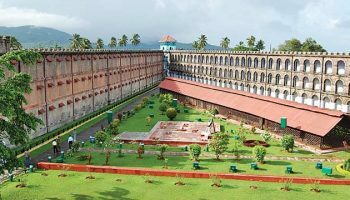 In India, the state excise is a revenue department which must fill their exchequer, and prefer to push high on alcohol beverages to drive more revenues. For a coffee chain, rollout is rather quick. Get an online tax ID, FSSAI number and open the doors. We go through 20-30 licenses/approvals before serving the first pint. On one hand we are celebrating the startup mindset of new India and talking about one window and ease of doing business. And for sure, this noise gets lost when you deal with a morally touch me not product like alco-beverage. Red tapism is rampant and we have outlets where we never got a license and had to shut the place down. Though we are a café format, we need to comply to the highest standards of a restaurant as that’s what the policies state. How do I overcome – whenever I am bogged down, apart from having a real cold beer before sleeping I rationalize myself by seeing this as the entry barrier to our sector. Kind of a moat which doesn’t allow many players to enter the sector. And keep our enterprise in the fore front. We have 33 outlets operational and 12 under fit outs. The nearest competition has 15 outlets and they started their first outlet in 1996. We began 3 years back! Being a service sector, we work on the mantra of people first, customer second. A happy server will make the customer happy. Our concept is experience oriented and the team serving the customers need to have the passion to live the brand and knowledge of the product. Unlike QSRs, where we don’t really care who’s behind the counter as we just take our burger and go. At a place to drink, the eye –contact and familiarity with the staff/bartender is key. Attrition levels are high in our industry, and training new ones and re-training existing ones is a constant task. We also have a zero tolerance policy for misconduct and integrity issues. And had to let a lot of team members including really key and talented ones go due to this reason. At the moment, with a headcount of 650 and having 50 more join us every month, we have been able to overcome some of the challenge by sharing the ownership of the company and rewarding the financial success with the team by having a clear connection between their contributions and the growing value of our company. So, we have an ESOP to each and every employee, company wide from the top most executive to the house keeping crew. So, now they are all creating their own value. I don’t know of any company in the Indian food service industry which has attempted such a robust stock option plan as ours. Nobody is an employee now, they are all “Partners”. Biggest paradox. We have third world sales and first world rentals. Our business is dependent on location, location, location. And the demand outstrips quality supply. So, what we have is the same catchment being chased by everyone – from banks, clothing outlet to restaurants. This increases the cost of rents and makes the outlet level metrics unviable. Worldwide benchmark is below 10% of revenues for the cost of occupancy. Here, its in the range of 20-30%. I spend a lot of time doing recce of areas where we have to open. Beat my head with landlords who only see money as the motivator, and takes a lot of time and energy convincing them to sign us up. 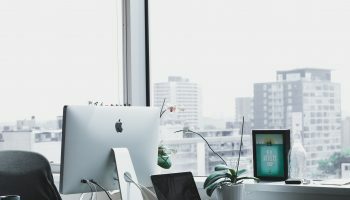 Be it a rookie or a guy who hasn't had a chance to think it through, we have made a list of ten things every man should have in his office.